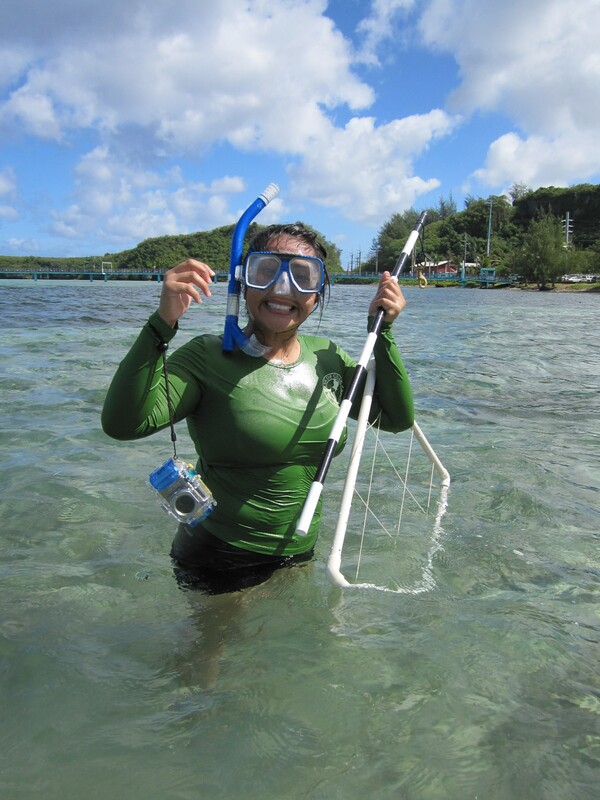 Guam Community Coral Reef Monitoring Program is focused on Guam’s reef flats. Program staff have selected stations within each site for data collection. These locations are programmed into a GPS unit. Program staff use the GPS to find the assigned station. Then, members set up 25m transects at that spot in a predetermined direction. This site set up process ensures that data collected by our members is unbiased. Through training, Guam members learn how to complete biological surveys the same way as real scientists. An important part of collecting data is to properly document your site when conducting scientific surveys. Volunteers learn the importance of filling out “site data” – name, date, and location. This information will give managers and community members necessary background on a site when they refer to data collected by volunteers. Benthic surveys start at the first meter mark on the right side of the transect. Volunteers place the quadrat along the transect with the bottom left corner at the meter mark and keep it in place until the data is collected. 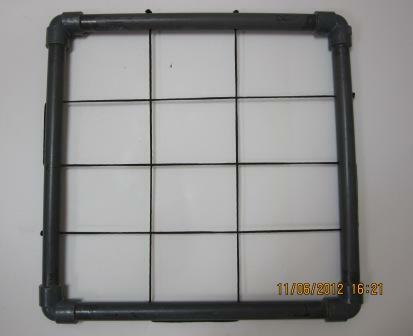 There are six intersecting points in this quadrat. Volunteers identify what is directly under each point as sand, turf algae, macro algae, coral, or bare rock and mark it on their benthic data sheet. Once volunteers have recorded the benthic cover type for each of the six points, they move the quadrat to the next meter along a 25 meter transect on one side. At each 25 meter transect, volunteers count macroinvertebrates within 1m of either side of the transect. Volunteers start on the left side of the transect at 0 meters and swim along each side of the 25m transect while holding the 1m survey rod. As they swim, they count & identify macroinvertebrates that are WITHIN 1 meter of the transect and record them on the macroinvertebrate data sheet. If the macroinvertebrate is outside of the 1m survey area, then it is not recorded. Program monitoring events will be conducted at least once a month. When enough data is gathered to be analyzed, data and status reports will be available online to the public and local resource managers.